Say it like it is. Don't hold back any shots. The mass protest action and pending motion of no confidence against a democratically elected president are occurring because South Africa has a crisis of accountability. President Jacob Zuma has shielded himself in a super presidency and believes that his constitutional powers indemnify him from having to account to the people he took an oath to serve. But the contagion has gone far beyond Zuma – Parliament cannot hold him or his ministers to account and the electorate cannot hold Members of Parliament to account. 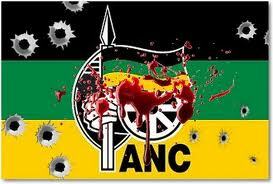 The ANC in its state of paralysis cannot hold any of its deployees in the state to account. Save for matters dragged to court, the state is operating under the cover of darkness. 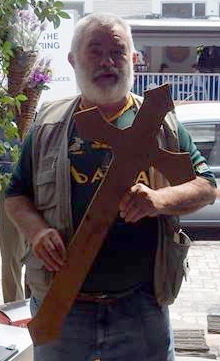 By RANJENI MUNUSAMY. At 7:40pm on Tuesday, the Presidency announced that Zuma is hosting the Emir of the State of Qatar, His Highness Sheikh Tamim Bin Hamad Al-Thani, who is on a two-day state visit to South Africa. On the face of it, this looks like a regular visit from a foreign head of state. But why would the meeting be happening at night and why would the Presidency be announcing it that late? 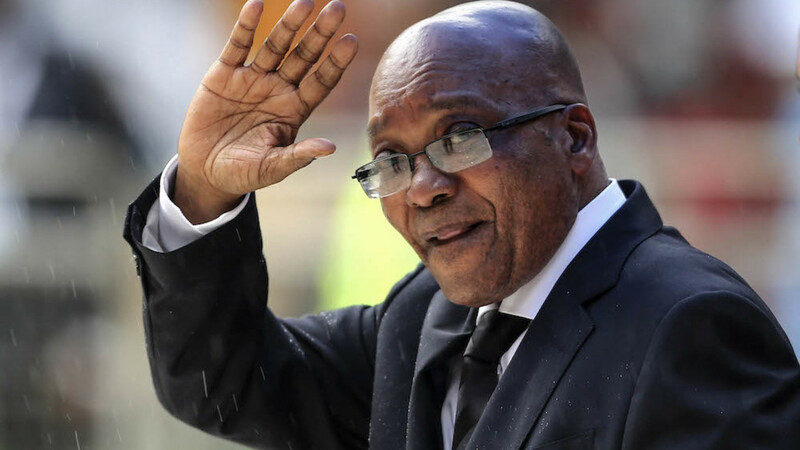 It turns out that the visit was meant to take place on Wednesday, but as it happens, Zuma is expecting other visitors – many thousand, in fact – who are marching to the Union Buildings to tell the president they want him to leave office. The march was organised by seven opposition political parties that joined forces to campaign for Zuma's removal from office following his Cabinet reshuffle that prompted two ratings downgrades relegating South Africa to junk status. 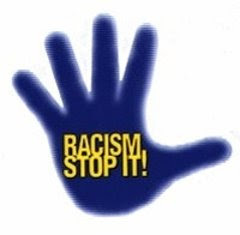 To his supporters, Zuma can consign the protests against him as racist or whatever new conspiracy might be whatsapped to him as an “intelligence report”. It might be much more difficult trying to convince the Emir of Qatar of this – particularly if His Highness and his entourage see for themselves that they are strengthening relations with a country led by an increasingly unpopular president. So in order to save the Presidency from embarrassment, and on advice from the security agencies, the visit was moved to Tuesday night. Of course the Presidency would never admit to this, or that the Qatari delegation was jerked around over the arrangements for the visit. How do you demand answers from a president who habitually laughs off accountability? Nowhere in the Constitution does it say presidential powers offer immunity from accountability. In fact the Constitution stipulates that members of the Cabinet, which consists of the president, deputy president and ministers, “are accountable collectively and individually to Parliament for the exercise of their powers and the performance of their functions”. But when asked, for example, for an explanation as to why in a sudden, after-hours move he removed former Finance Minister Nhlanhla Nene from his job, Zuma’s response has been consistent: “It is the prerogative of a sitting President to appoint and change members of his/her Cabinet as he deems necessary”. Zuma is bound to give the same response when he is asked in Parliament why he reshuffled his Cabinet late last month in the dead of night, causing financial havoc and instability. Like with the fictitious claim that Nene was bound for a senior position in the BRICS bank, South Africa is unlikely to get a straight answer as to why former Finance Minister Pravin Gordhan and his former deputy Mcebisi Jonas were fired. The only explanation for the reshuffle that came from the Presidency was that the changes brought younger MPs and women into the executive “in order to benefit from their energy, experience and expertise”. Since then, South Africa learnt from three of the ANC’s top six officials that the reason Gordhan and Jonas were axed was because of spurious allegations in a bogus “intelligence report” that the two were plotting against the state. Despite the devastating financial consequences of Zuma’s dabble with the finance ministry, there is no explanation as to where he sourced the report and whether he took any steps to verify the claims in it. Because Zuma has no respect for the Constitution, Parliament or the electorate, he is unlikely to ever explain this. ANC Secretary-General Gwede Mantashe has said the reasons for Gordhan’s firing were an irretrievable breakdown in the relationship between him and the president, and because of the former finance minister being portrayed as “presidential” in the press. We might never know if any of these reasons are true and what really motivated Zuma’s perilous move. Zuma has also refused to explain his ties to the Gupta family and why he has ceded decision-making on Cabinet appointments and control of the state apparatus to them. 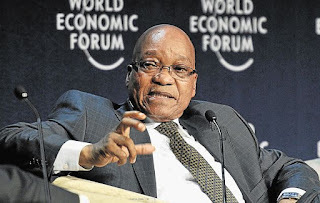 Whether it was the use of his name to land their jet at Waterkloof Air Force Base or Jonas’s disturbing claim that the Guptas offered him the finance minister position, Zuma has swatted away questions on various platforms, unwilling to explain his role and knowledge of these matters. He also avoided answering questions during the Public Protector’s investigation into state capture. Had he not been dragged to the Constitutional Court, he would have continued to wash his hands of accountability for the upgrades at his Nkandla home. He will probably still maintain that he had no knowledge of the upgrades and the Nkandla project had nothing to do with him. Zuma does not recognise the need to account to the people who elected him. He communicates on his own terms, rebuffing questions about the decisions he makes and how he runs his government. The last time he addressed an open media briefing was before the 2014 elections. His media engagements are restricted to interviews with the SABC and community radio stations, The New Age business breakfasts and occasional doorstop interviews where he regularly bats away questions. It is this same dangerous attitude of disrespecting accountability that has permeated the state and Parliament. Some ministers also live under the false premise that they are laws unto themselves, accountable to no one. Former Communications Minister Faith Muthambi treated Parliament with disdain, to the point of misleading it. Despite the serious findings of the parliamentary ad hoc committee on the SABC against her, Muthambi walked away unscathed – and earned herself a promotion in Cabinet. After causing chaos at the public broadcaster, she is now entrusted with the management of the entire government system as Public Service and Administration Minister. Social Development Minister Bathabile Dlamini pushed the country to the brink with her irresponsible handling of the contract to disburse over 17-million social grants. Had the matter not been taken to court by Black Sash, South Africa would have been chained in a detrimental and corrupt relationship with Cash Paymaster Services (CPS) for a new term. Dlamini is trying to wriggle out of responsibility for the crisis in her submissions to the Constitutional Court. She is trying to convince the court that she is not to blame for the debacle and should not be made to foot the bill personally for the legal costs. But in their submissions, SA Social Security Agency (Sassa) CEO Thokozani Magwaza and former Social Development director-general Zane Dangor state that Dlamini ignored warnings that the matter was coming to a head and created the crisis to ensure CPS would continue managing and distributing social grant payments. While Dlamini’s personal interests in the matter are being exposed, the most serious consequence is that she could have lied to court under oath. Zuma has already exonerated Dlamini from responsibility. In his view, there would only have been a crisis if the grants were not paid, not that millions of lives had been placed under threat and that the state had been tied to an illegal and exploitative contract. Despite the scathing ruling of the Constitutional Court, Dlamini was protected in Zuma’s Cabinet reshuffle. It remains to be seen whether the president will change his stance if the court holds her personally liable – and finds that she lied under oath. Parliament was already found to have violated the Constitution by not holding Zuma accountable for the Nkandla fiasco. In light of the pending motion of no confidence vote against the president, there is a raging debate about the role and responsibilities of elected MPs – whether they are accountable to their political parties or to the electorate. Former President Thabo Mbeki has entered the debate, arguing that MPs do not serve in Parliament as representatives of political parties, even as they are members of these parties. “There is absolutely no MP who sits in Parliament by virtue of being elected by the political party to which they might belong, including those who subsequently get elected by Parliament to serve as Head of State and government. Mbeki’s argument is that ANC MPs are not obliged to follow the instructions of their party and should vote according to conscience. “It may be that the current political controversy has, at last, imposed on our country the opportunity and obligation the better to define the constitutional and moral relationship between the people and their elected representatives,” he wrote. But many people in the ANC leadership believe MPs are beholden to their party and see it as a betrayal of the organisation if they vote against the president. Former President Kgalema Motlanthe said in an interview with Daily Maverick last week that it would not constitute misconduct in terms of the ANC constitution for the party’s MPs to vote in favour of the motion of no confidence. While the ANC national working committee decided that no ANC member should vote for the motion, Motlanthe said the parliamentary caucus was not a structure of the ANC and therefore not bound by the decisions. 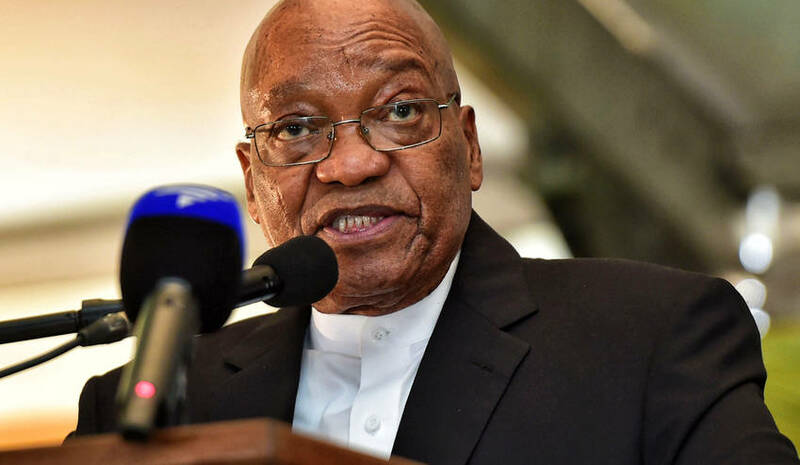 Zuma’s allies, such as national executive committee member Lindiwe Zulu, say however that ANC members would defend the president for as long as he was a member. His other supporters have opted for intimidation and thuggery to silence critics. People in the ANC seen to be in the anti-Zuma camp and opposition leaders are now receiving death threats. Zuma’s sense of invincibility also relates to the ANC. Despite him being a “deployee” of the ANC, the organisation cannot and does not hold him accountable. For all he has done during his ruinous term as president, he has not accounted to the ANC, despite the severe reputational damage to the party. Zuma was the biggest contributor to the ANC’s sharp drop in support in the local government elections last year but scoffed at attempts in party structures to discuss this. 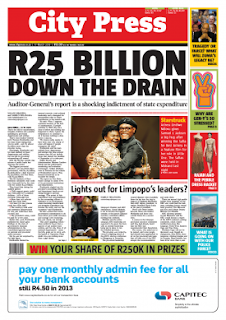 Similarly, the ANC cannot hold ministers and deployees in state owned enterprises to account. In an environment where the lines of constitutionalism are blurred, menacing threats are emerging, and bogeymen such as racism and imperialist conspiracies are introduced to distract the conversation around the anti-Zuma protests, the space for the president and the dark state to operate is increasing. History is replete with examples of how the growing securitisation of the state helps prop up power-drunk leaders who eschew all forms of accountability. While the mass protests against the president are important signals of the sentiment in society, they are also necessary to make the point that presidential prerogative is not absolute and does not extend to the entire functioning of the state. 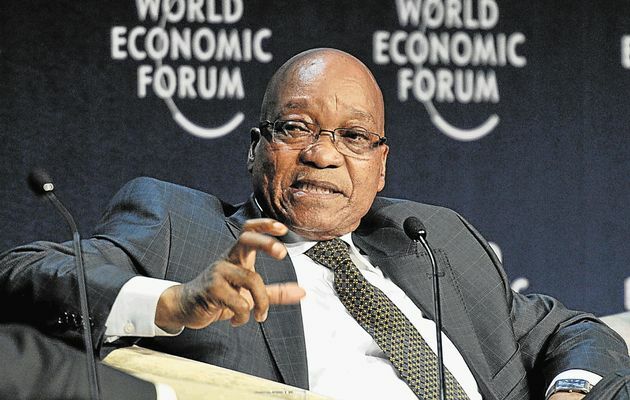 PRESIDENT ZUMA SHOULD ACCEPT ACCOUNTABILITY FOR THE DILEMMA SOUTH AFRICA IS IN. HE BROKE HIS OATH OF OFFICE AND TRANSGRESSED THE SOUTH AFRICAN CONSTITUTION. IN ANY DEMOCRATIC COUNTRY HE WOULD HAVE BEEN EXPECTED TO RESIGN BEFORE HE GETS IMPEACHED! THE PEOPLE WILL NOW HAVE TO REMOVE HIM AND ALL HIS CRONIES. PAWNS PLACED AROUND HIM TO PROTECT HIS ILL-GOTTEN ASSETS.